The Exhibition is held in parallel with the Historic Houses Annual General Meeting. The event attracts in excess of 1200 visitors who are owners and guardians of historic buildings (private, commercial and industrial), parks and gardens – their management staff, their professional advisers and a range of professionals. Visitors either purchase or influence the purchase of the great variety of products and services needed and used by this important and developing market sector. The Exhibition Guide for our event has had a major redesign. Consisting of a new larger B5 format, the introduction of a comprehensive Products and Services Directory and more intuitive indexing, creating a more useful and user friendly publication. The Exhibition Guide offers a unique opportunity for companies promoting products and services involved in the care, repair and conservation of historic buildings, parks and gardens to reach this important market sector. 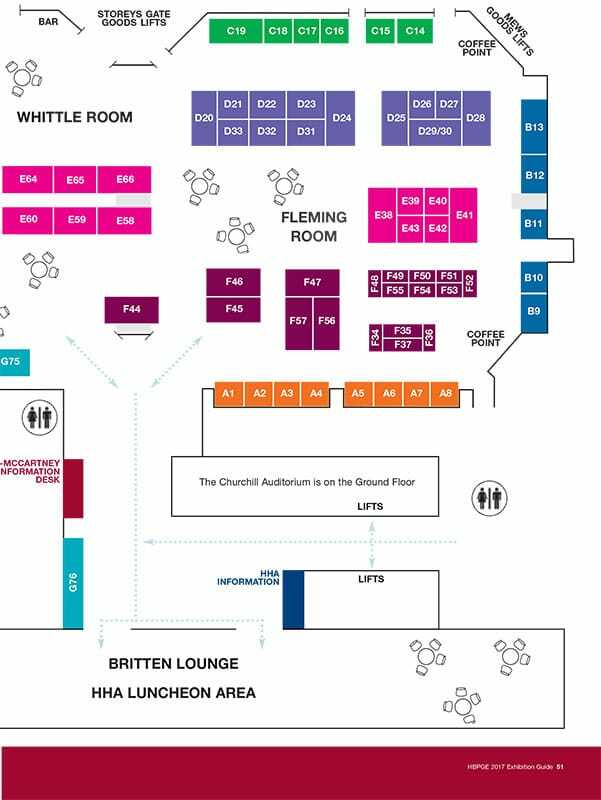 Advertisers will benefit from being in the Exhibition Guide long after the event, as over 1200 copies are distributed free of charge to visitors and delegates who use it as a regular source of reference. 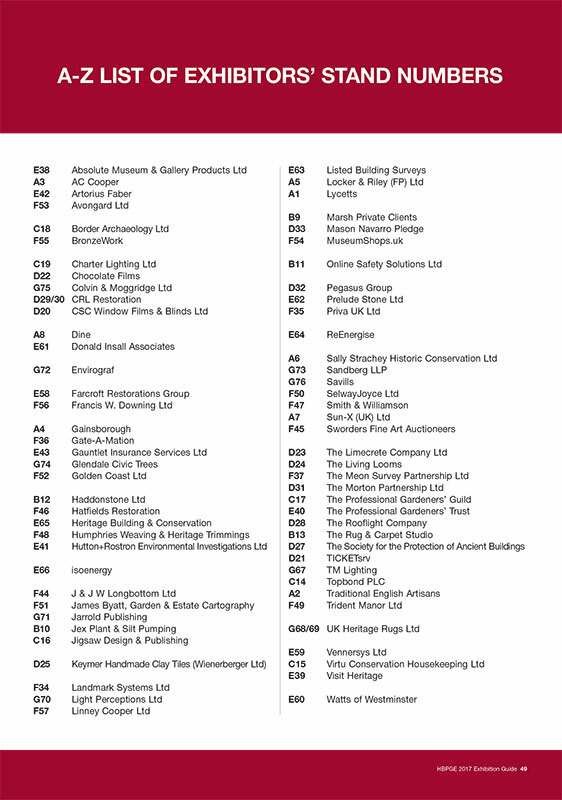 Each Exhibitor is allocated a free quarter-page advertisement in the full colour, B5 size Exhibition Guide. If you prefer you may use the value of the free quarter-page towards the cost of a half or full page advertisement in order to have a more prominent presence in the publication. 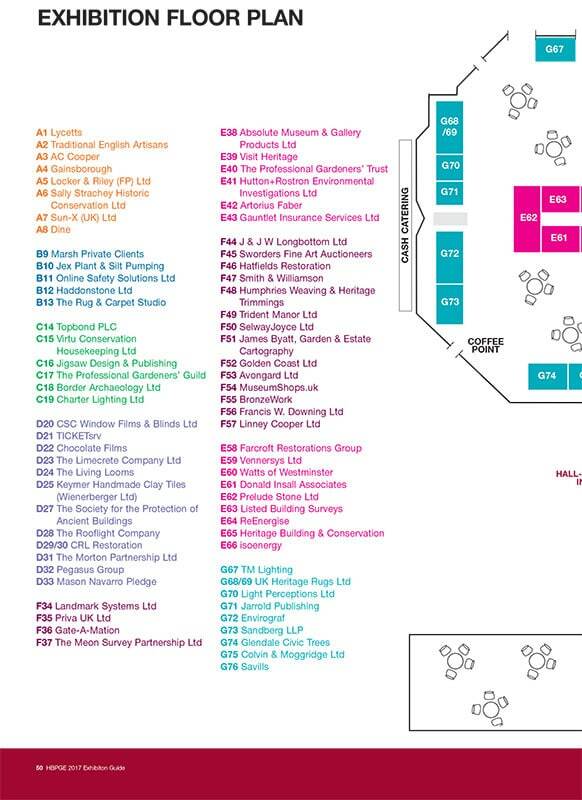 In addition, your company details will appear in the A-Z Exhibitor listing section. The entry will comprise: Stand number, company name, address, telephone and fax number, email, website, contact and product/service.